In the sub-$300 category we replaced a couple of older models – including the Blackstar HT Series HT-1 and Fender Mustang V V.2 HD – with some newer amps, such as the incredibly versatile Line 6 Spider V 60 and the modern Fender Mustang GT 40. Good guitar amps aren’t cheap – but they’re not ridiculously expensive either, as the models on this page prove! With $300 in your pocket you can now pick up a solid amplifier that will sound great, offer stage-worthy power, and will last you a long time. Why Buy a $300 Amp? Should You Go for Tube or Modeling Amps? While we are still quite a way off the quality of amps in the under $1000 category, you’ll still find hefty power that can span into the 100-watt range from both combos and heads, as well as versatile modelling, effects and features that you just don’t see in the lower price brackets. You can also find some pretty good all-tube amplifiers at this price. If you are in the market for a great amp that offers ample power but still doesn’t break the bank, you’re in the right place. 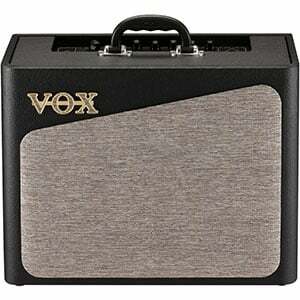 We have highlighted eight of the best guitar amps under $300 in our chart below. Let’s take a look! A rare type of hybrid that brings the valve tone and versatility. A powerful amp with unrivalled versatility at this price. One of the most versatile combo amps available on the market today. A modern amp with an infinite supply of effects, models and presets. One of Marshall's most well-rounded modeling combo amps on the market. A modern take on a classic configuration with a killer dirty channel. One of the best balanced all-tube head amps available on the market. Affordable, hand-wired and packing a punch. It's a perfect affordable tube rig. In the world full of pretty similar digital modeling amps, Vox has decided to spice things up by going fully analog. Their AV15 is a hybrid that brings you the versatility of a modeling amp, all done by using a single tube. Tone wise, you can expect that classic valve sound in a variety of colors. Thanks to its flexible nature, you can custom tailor the tone so it fits your needs no matter what they are. The only thing that is digital on the AV15 are its effects, but even they are voiced to sound analog. With 15 Watts of power and a single 8 Inch speaker, you are looking at one rather unusual, but ultimately pretty decent setup. Line 6’s famous Spider series of amps has enjoyed a recent upgrade in both the visual and feature departments, making the affordable Spider V 60 one of the best amps on this list. As we highlight in the full review, this amp sports an all-black design with sophisticated new matte black color-coded controls that all feel intuitive and robust. Under the hood you’ll find a single 10” speaker, offering 60 watts of power, making it a great stage partner. But it’s the sheer amount of amp models and effects on offer that make this solid-state combo amp such a great buy, with huge versatility. The included drum loops, built in tuner and metronome don’t harm its value either! Peavey's Vypyr series have been the source of versatile modeling amps for years. The one we’re looking at here is the sweet spot. Packing some 100 Watts of modeling power, it’s definitely loud enough for stage use as well as practice. The amp comes with over 400 presets that include amps, cabs, effects and even instruments. That is the type of versatility you don’t get to see too often. It’s not without a fault, but the sheer amount of value you get for your money is overwhelming. If you are looking for a decent combo that can be used both on stage and in your bedroom, Peavey Vypyr VIP 3 is among the top choices you have at the moment. If you love to experiment with tones and effects, the Mustang GT 40 from Fender is a model well worth considering. This versatile solid-state combo amp offers 21 classic amp models and 46 different stackable effects, along with Wifi connectivity to download an almost infinite supply of artist and user-designed presets. This is one you could happily spend days experimenting with. The amp itself looks great and is very user friendly, with solid controls and a good LCD screen displaying the presets, effects and options. 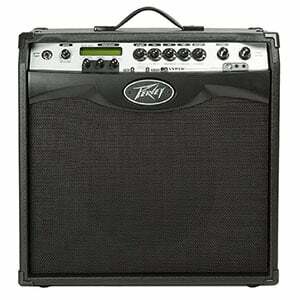 Under the hood you’ll find two 6.5” Fender-designed speakers offering 40 watts, making it great for smaller gigs. Make sure to check out more on the Mustang GT40 in the full review. 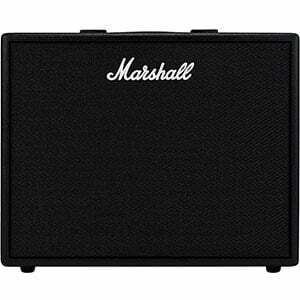 Marshall's Code 50W hits the market as one of the most well-rounded packages you can find in this price range. With 50 Watts of power available through its single 12 Inch speaker, volume saturation is not going to be a problem even for smaller gigs. On the other hand, you a true modeling configuration with a multitude of presets to choose from. These include both amps, pre-amps, and cabs. Marshall did a great job at modeling some of their best tubes into this combo, so you also get a portion of that traditional Marshall tone. Whether you are a beginner looking to 'future-proof' their rig, or a performing musician on a budget, Marshall Code 50W is a great choice. 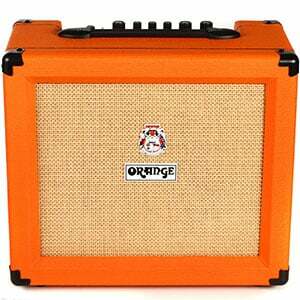 Orange Amplifiers Crush 35RT is a perfect example of a solid state amp done right. Instead of trying to cash in on the versatile nature of this technology, Orange pretty much kept it on the low with a conservative selection of features. However, the tone this cab offers is pretty impressive. They've spiced things up with several significant features, making Crush 35RT relatively unique. Even so, this thing still brings the bread and butter of Orange Amplifiers. In other words, the killer dirty channel. With 35 Watts of power, there is enough juice for both home use and limited gigging, which only adds to the already decent versatility. While there are no outrageous presets, Crush 35RT packs just enough heat. Bugera has been known to deliver some pretty spicy all-tube designs lately. One of their heads that made quite some noise on the market is the Bugera G5 5W. It’s pretty conservative, packs a decent amount of heat, and is capable of delivering 5 Watts of power. Bugera did a thorough job with this one, adding all of the features a good tube head should have. It’s a great choice for a stack to use at your home or in a studio, as it comes with power attenuation. While it’s not exactly the type of head you would want to gig with, G5 might just surprise you given the right circumstances. At this price, it is an absolute favorite. 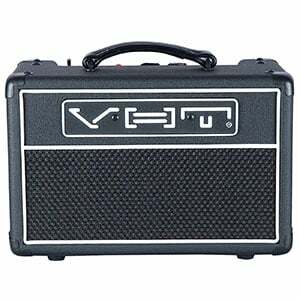 VHT is one of the rare companies who offer a full blooded tube amp head in this price range. Their Super 6 brings a great balance of performance, versatility, and power to its users. Its strongest selling point is by far its tone. However, the fact that it is manually wired and that the circuitry was designed to be modded, adds a lot to its value. Great for home use, this is the type of amp you would want to have in your budget recording setup. VHT included 4/8/16 Ohm speaker jacks, making it easy to attach this head to a wide variety of speaker cabs out there. Overall, it's an interesting amp that comes at a great price. Buying an amp in this price range is a smart move for several reasons and well worth doing if your budget allows it. Firstly, and most importantly for some, is the power on offer. Compared to those models in the sub-$200 range, the power increase is huge with some amps crossing into the magical stage-worthy 100-watt mark – some even more powerful than that. This is ample power for sizable performances, while still being reasonable enough to use as practice rigs at home. While it’s easy to disregard power for a cheaper price, if you have any aspirations of gigging to more than a small roomful of people, an investment in decent power now can save you money in the long run. Power aside, this range is where you start to see more all-tube combos and heads, which offer a great tone that some guitarists just cannot live without. This price range also sees an increase in versatility, with some great modeling amps on offer delivering many different classic amp tones in one unit – not to mention greater variation in EQ controls and built-in effects. A good question because the answer will result in a completely different tone. As we’ve established, at this price range you can find some very decent tube amps that offer excellent tone. If an organic, warm tone with great responsiveness is your main ask from an amp, then tube is something you should consider. If you prefer versatility and the ability to go from, say, warm jazz tones to severely distorted djent sounds at the flick of a switch – with no pedals – then a modelling amp will probably benefit you. While solid-state modelling amps lack the natural character tube amps tend to offer, the fun you can have – and the potential for sound shaping – is fantastic. One thing to keep in mind is that tube amps in this price range are less capable of serving you on stage, while their modeling counterparts are. There’s plenty to consider at this price range and, even though it’s not a lifechanging amount, $300 is a considerable chunk for many people – so you don’t want to waste your money. Thankfully, if you use the models on our chart as inspiration, you should end up with a great piece of kit that will last you years of practice and performance. Good luck with your hunt for the perfect amp!